Though the HTC Desire's technology is now being surpassed, it's aged beautifully thanks to some timely price drops. However, all things must come to an end (or at least be supplanted by something new). 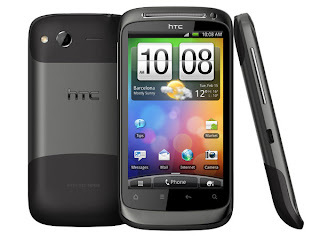 The HTC Desire S has arrived to take over from its predecessor in the Android race. In many ways, it's quite similar. We'll still be looking at a 3.7-inch 480 x 800 screen, Android overlaid with HTC's Sense UI and a 1GHz processor. However, HTC hasn't totally rested on its laurels with its new mobile phones. The design and build of the handset is excellent, save for a slight Wi-Fi cutting-out issue. The camera is good quality, producing serviceable still and HD video that would be quite good if it weren't for a small stuttering issue. Call quality was excellent, with voices coming through crisp and clear, and it's a shame how little we get to say that about handsets these days. The browsing experience was generally strong, with the speed that web pages load still impressing us, and Flash is taking yet more steps forward in its 10.2 guise. It was still finicky at times, but when it did work, it was fairly smooth, which is more than we could say for many Flash 10.1 single-core phones. However, the reason the Desire has kept up with everything that's come after is because it was so far ahead in the first place. The Desire S isn't. It's a great phone, and one we would wholeheartedly recommend in a vacuum. The HTC Desire led the revolution, but the Desire S could be just another member of the rabble.